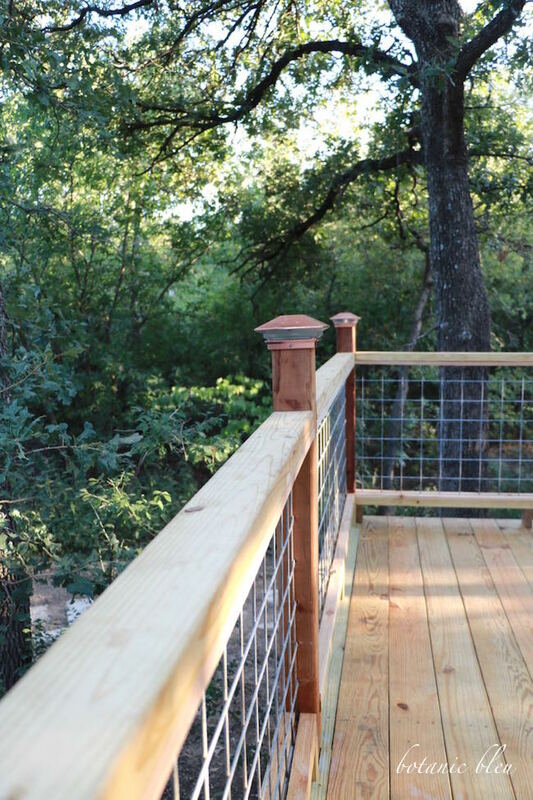 The new south deck is not really a treehouse deck, but the deck is over four feet off the ground and has trees on all sides making it feel like a treehouse deck. And it is finished! The first views of the new deck coming around the house from the driveway show the main features that include a 17'x12' covered porch area with a 4' open extension to the south. 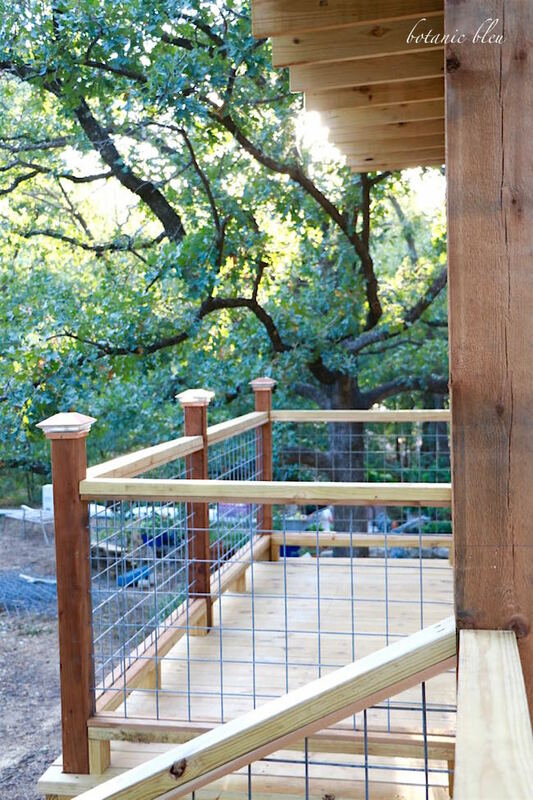 The massive cedar posts support the porch cover, and the railings with galvanized wire fades into the background. Remember how the old worn-out deck looked? Here is the new treehouse deck that is at the same level as the threshold to the French doors. Seen from the backyard, it is easy to see the new deck is several feet above the ground with lots of space beneath the deck. Future plans call for enclosing underneath the deck and installing some kind of doors so the space can be used for storage. The solid construction can also be seen. The 4"x4"railing posts are anchored in concrete in three-foot holes. The solid 6"x6" cedar posts supporting the new porch roof are also anchored in concrete in three-foot holes. 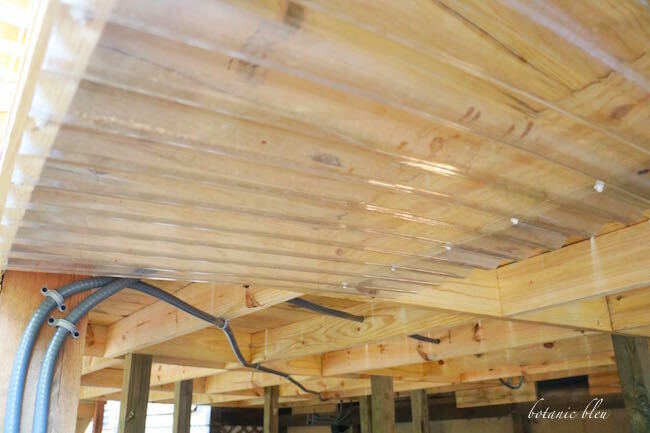 The porch ceiling is supported by rafters centered on 16" centers and is strong enough that the gutter company workmen installing new gutters were able to stand on the roof. 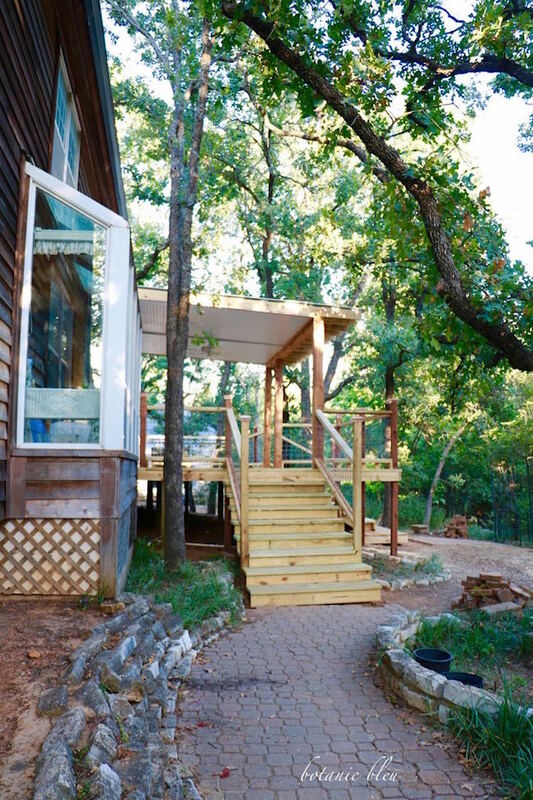 The platform at the bottom of the stairs is a transition to the yard suggested by the contractor, Mike Gilchrist, owner of Gilchrist Construction. Soon there will be newly laid walkways leading to it. Visions of Christmas greenery and twinkling fairy lights are filling my head already. The deck is beautiful, bare without furniture or plants, but will be such a wonderful space to decorate for the holidays. Immediate plans are to use the space to the right of these stairs for storing the lawn mower. Old foot-square concrete blocks will be the base on which to park the lawn mower. Clear corrugated plastic panels attached to the underside of the deck will protect the lawnmower from rainwater. The water will run down the channels in the plastic panels. We will add more of these panels when we enclose under the deck for more storage space. This nifty idea is not my original idea. Found on Pinterest, it seemed like a great idea that does not cost much money. The contractor, Mike Gilchrist, suggested using clear panels so they are not noticeable through the spaces between the decking boards. One of the nice things about working with Mike was his willingness to try new ideas and to suggest ways to improve ideas. 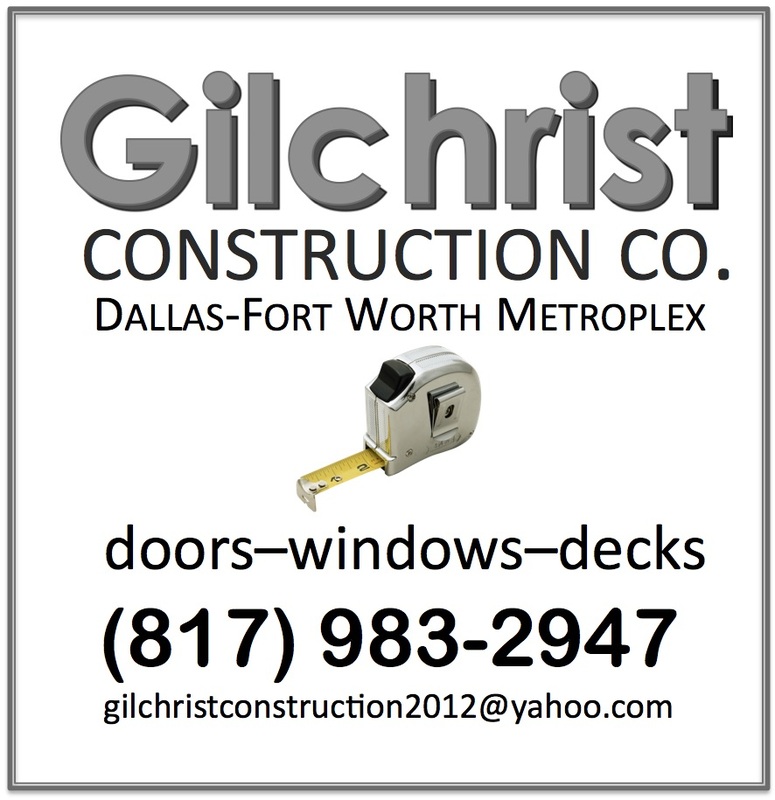 Another good thing about working with Gilchrist Construction was Mike's ability to resolve unexpected problems quickly. Remember the problem that cropped up with the electrical panel that required a master electrician? Mike was able to get a master electrician to the job site the same day, and the repairs were completed within a couple of hours for a reasonable cost that was less than the hourly rate I paid another electrical contractor who did some repairs previously. 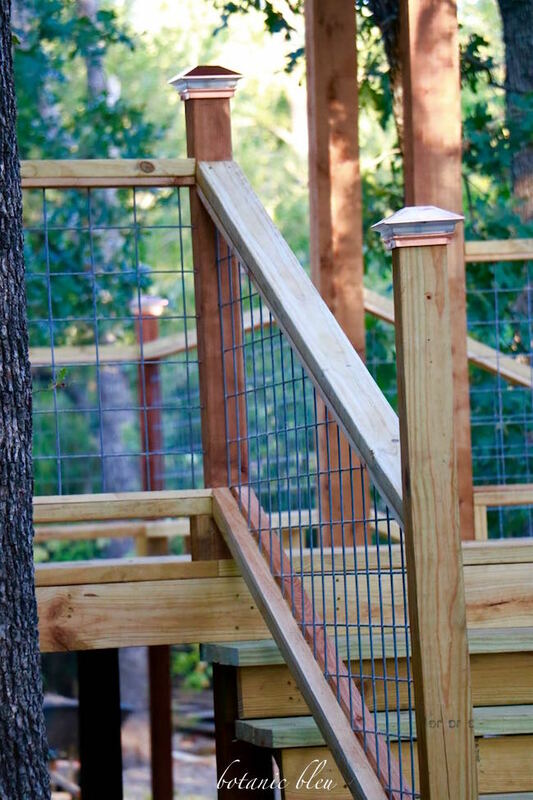 We first saw railings made from ordinary livestock galvanized panels at the Whisper Mountain house where we vacationed in North Carolina last summer. Our deck replacement began last fall with the east deck being replaced first and the galvanized corral panels were installed there. They turned out beautifully. French doors from the living room open onto to the new covered porch that has a white metal roof and a very pale blue bead board ceiling. Just one day after the new deck and porch were finished, we had a steady rain that fell during the night. When I awakened to the sound of rain in the night, I immediately went outside on the new porch to listen to the rain fall on the metal roof. Growing up in Alabama, my mother, brother, and I lived with my maternal grandparents while my dad was serving in the Army overseas. My grandfather was an iron worker who also sharecropped cotton fields. On rainy days my grandmother and I would sit on their long porch with a metal roof listening to the rain. She sat in her wooden rocking chair, and I snuggled in cotton-picking sacks on the porch floor. To this day, I can still smell freshly-picked cotton and fresh rain from my days on my grandparents' porch. Painting porch ceilings blue is a long-standing tradition in the Deep South. Sometimes blue paint on the ceiling of a porch is referred to as haint blue. Legend has it that haints or spirits cannot cross water and using blue to represent water prevents evil spirits from entering the house. My contractor said blue ceilings also keep wasps from building nests on the ceiling. That's the first time I have heard blue ceilings prevent wasps. Ceiling fans have fallen out of style in home decor, but I still love ceiling fans and look forward to days and nights sitting under a steady breeze. 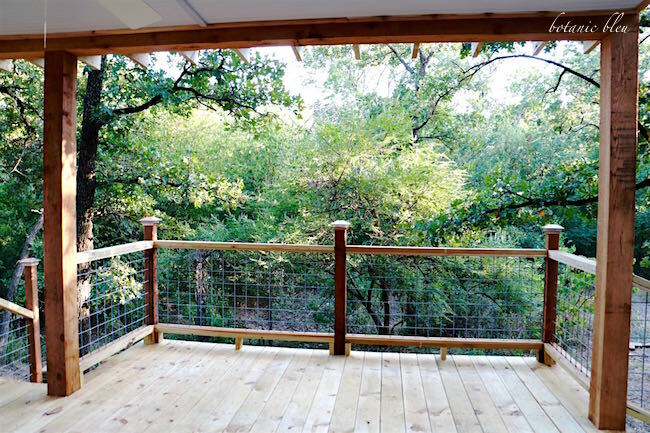 One of my favorite features of the new treehouse deck is the open area that I refer to as the porch balcony. Here is where I will put pots with plants and flowers so they get enough sunlight. Previously this space was where the full-length steps from the old deck were located. The footprint of the new deck is really about 10"-12" shorter than the old footprint, but the deck surface is now four feet longer. 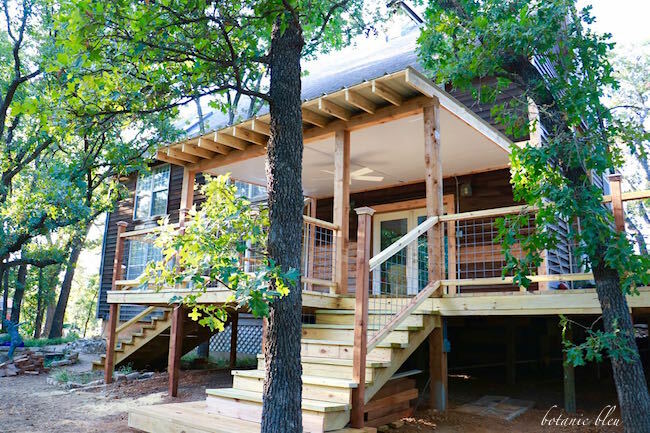 The galvanized corral wire allows air to blow through and at the same time, fades into the background allowing clear views of the surrounding woods. The view from the living room French doors really does look like the new deck is a treehouse. 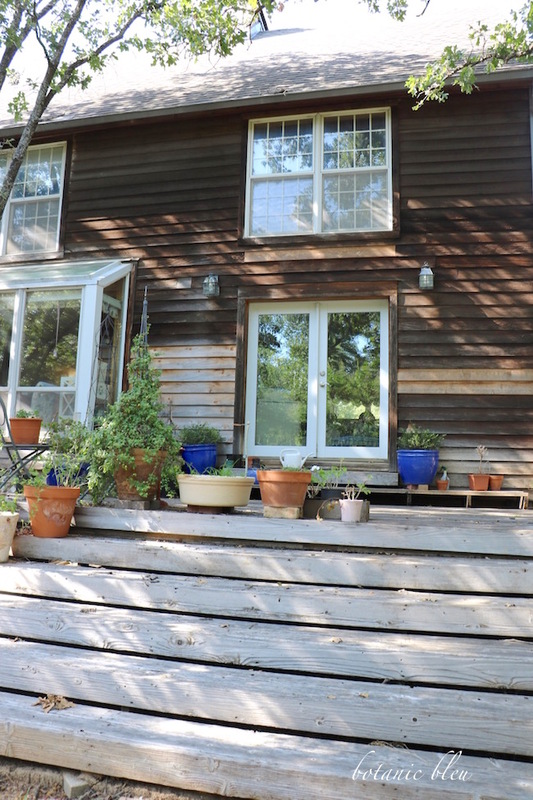 Existing plants and flowers will be added to the deck balcony this week. The old Adirondack chairs are being renewed and will be painted white. The paver walkways are being relaid, and new landscaping will be installed this fall. 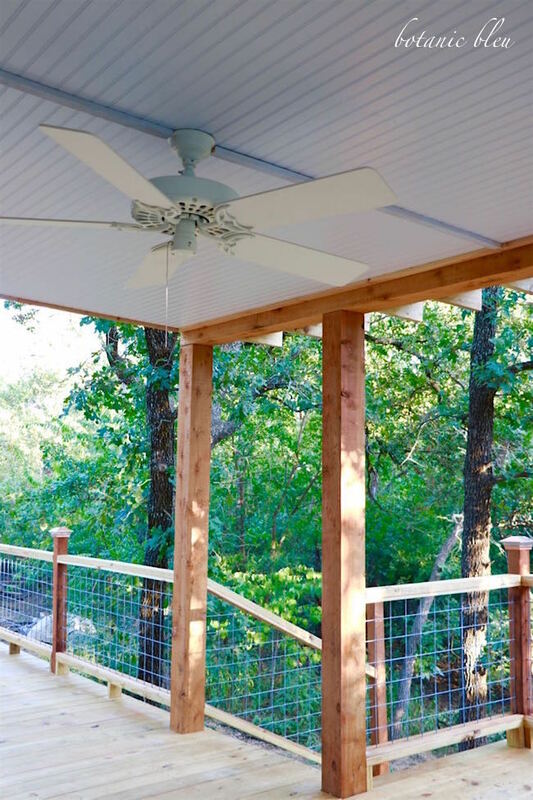 Come on over, sit a while under the ceiling fan, and enjoy the birds, bees, and butterflies flitting among the trees. Maybe it will rain on the metal roof while you are here. 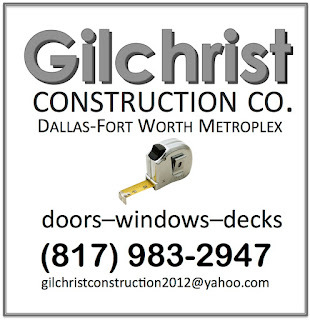 Call or email Gilchrist Construction Co.
Have you noticed my new Pin-It button? Now it is super easy for you to pin your favorite photos. PERFECT! 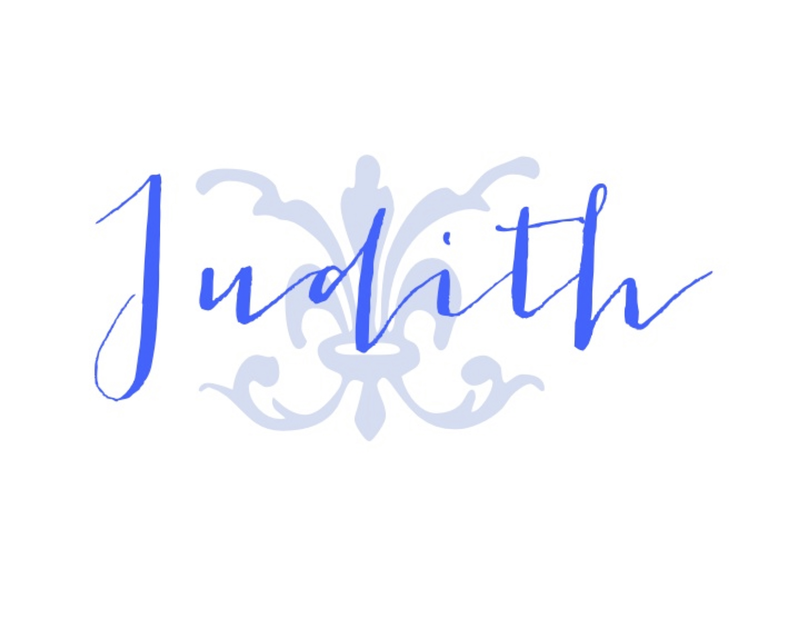 You are going to love deck living, Judith! We've had ours now for 3 years and it's such a joy. This looks amazing! BRAVO! This is a fabulous deck! I can't wait to see it all 'decked' out for Christmas! 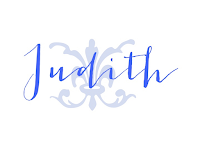 Judith, it looks great! What a great place to enjoy your view with the benefit of shade and a fan. You are going to have so much fun decorating it for the seasons. I love it! It looks great and I bet it will be wonderful to sit out there (listening to the rain on the tin roof!) It is WONDERFUL!! 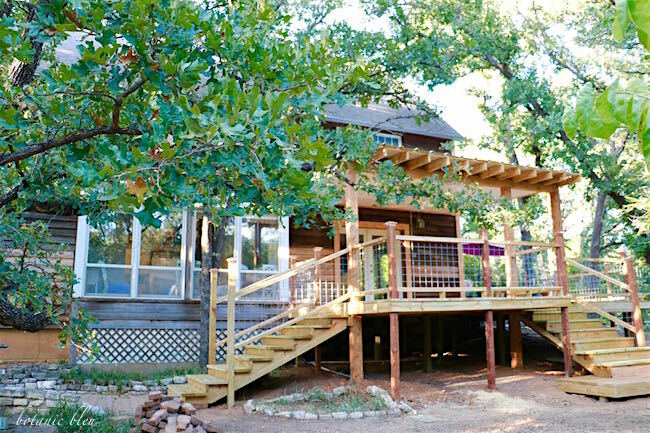 What a fun deck - it looks just like it's in a treehouse. Judith, that deck is amazing! I love that it's raised and I love the galvanized panels. It all looks very sturdy and permanent. I know you must be very proud. Judith, The deck looks great. Your relationship with the builder produced an outdoor space that is functional, spacious and pretty. Love the fan. You will enjoy many evenings there. Sylvia D.
This looks amazing and I love all the details you shared. This space is going to be such an inspiration to your lifestyle. Enjoy!! What a retreat. I'm so excited for you. I have also heard the blue keeps flies at bay but I'm not sure that this actually works. I was smitten with all the blue ceilings in South Carolina. I can't wait to see it with furniture. Your deck is amazing!!! What a wonderful spot to sit and enjoy the view :) Thank you for sharing at TaDa Thursday!!! What a great spce to entertain! Thanks for sharing at Home Sweet Home! The view from the living room's french doors is amazing! It definitely does have the treehouse feel. 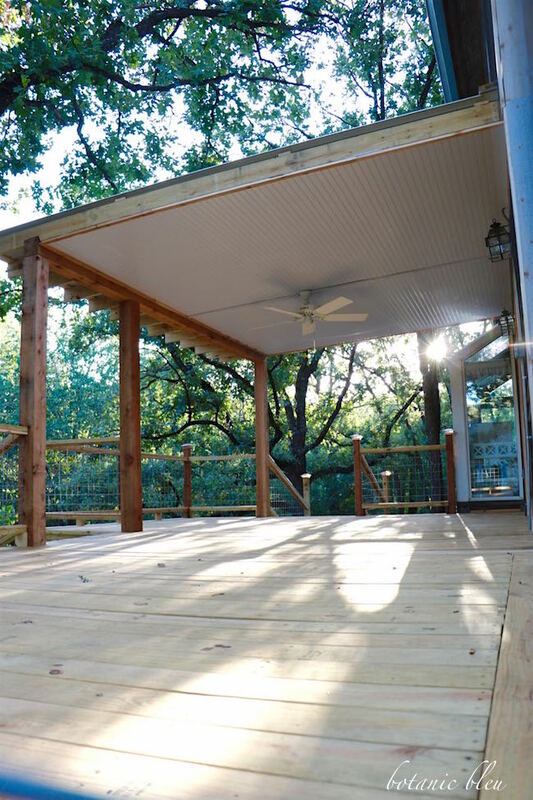 I like the height of the new deck and I think it is a great idea to enclose it and use the underneath for storage. Excellent use of space! Your deck turned out great and I hope you enjoy it for a long time!